At the beginning of the month, Amadeus once again enjoyed an incredibly successful attendance at the Society of Heads Annual Conference held, this year, at Forest Pines Hotel in Broughton, North Lincs. As well as catching up with old friends and making many new contacts, the company also sponsored the annual golf tournament for the fourth consecutive year. Although a little overcast and rather brisk, the weather was somewhat kinder this year, remaining dry throughout, and the tournament was well subscribed with twelve independent school head masters taking part along with Amadeus Director – John Locke. 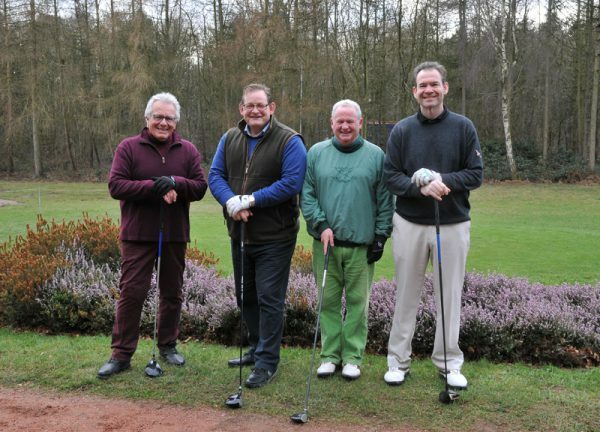 Competition was stiff at times but the afternoon was filled with jovial banter across the greens and teeing off hindered more by the odd outbreak of mirth than the wind. After 18 holes and some intermediate mathematics, the winner was finally announced as John Green, Head Master of Seaford College, West Sussex. That night, John, along with Julian Noad of Oswestry School (Longest Drive), and Steve Fairclough of Abbotsholme School (Most Improved Player), were awarded their Amadeus-sponsored prizes by John Locke at the fun and fabulous black tie dinner filled with more mirth, decent wine and good food. Many congratulations to the winners, and we look forward to the next SOH Conference in 2018!